Danielle offers private, and group yoga sessions, posture clinics, and related workshops out of Life Force Centre location at Gateway Resort or could come to your location, as well as seasonal yoga with nature on the North Shuswap. Grattitude Hot Yoga in Salmon Arm. Danielle’s Certification: 200 RHYT: Certified Original Hot 26 & Vinyasa Flow Instructor, 50 Hour Yin, Certified Quantum Touch Energy Practitioner, Bachelor of Metaphysical Science & Ordained Metaphysical Minister. I fell in love with yoga back in 2005, and continued my passion for growth and learning, and completed my Hot Yoga Teacher Certification in 2014. Yoga has just continuously grown and continues to grow into my life since I attended my very first (Hot) yoga class. It just becomes how you live. It gave me the strength, creativity, and confidence to open myself up to changes in my life I never could have imagined before. They can expect to be challenged, encouraged, and loved. I enjoy teaching a variety of class styles, and truly believe every yoga class should be an all levels class and embrace participant differences. I offer classes in Hatha flow, both a power flow and a gentle flow, Traditional 26, Moms & Tots, as well as Yin, Kids and Family Yoga. I also teach an Ageless Yoga for those with injuries, mobility, or ageing concerns. Because the physical changes that happen with the body are a mere side-effect so to speak of inviting yoga into your life, the true magic is occurring within oneself. 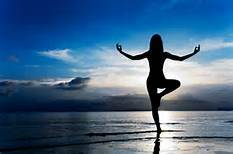 Yoga is an absolute total physical, emotional, mental, and spiritual workout! It gives permission and time for you, time to slow, and time to discover. We absorb so much of what life throws at us, holding onto tension, stress, and fears we may not even be aware we’re clenching. Yoga physically challenges the body so to assist release any hidden emotional holdings deep within the tissues, allowing the body to fully relax and release. 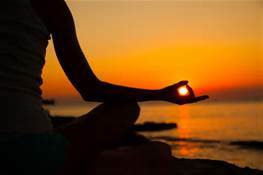 Yoga helps maintain optimum health in our physical bodies and through each practice peels the onion layers of life gently away, leaving only our authentic selves to be seen once again! Yoga sessions in the privacy of your own home. This Vinyasa Power Flow class is a total physical, mental, and emotional transformation. It is meant to challenge you no matter what physical shape you are in or what limitations you think you may have. Each asana will give you a whole new sense of mental and physical strength. The word vinyasa means flow or the linking of one movement into the next, and the power comes from the core, the heart. This practice is a very fluid and dynamic experience. Participants should have no mobility concerns. This is a class designed to stimulate every muscle, organ, and joint in the body. The postures are purposeful for the body, and systematically cleanse, rinse, and stimulate the body from the inside out. All yoga, but specifically this series of postures, works to cleanse and strengthen all the systems of the body: digestive, respiratory, circulatory, immune, endocrine, lymphatic, skeletal, muscular and nervous systems. A challenging class, perfect for both beginners and long time yogis. This yoga class is for all levels. Have some fun while moving, breathing, and flowing to some tunes. This is a guided class, but no yoga robots! Play the way you want! This style of yoga is for those who have mobility issues, injuries, or ageing concerns. Most postures are offered in a seated position and may progress to supported standing if appropriate. Start yoga early with your toddler. Enjoy some playful movement, breath practice, stretches, and music with your child. A slow paced yoga practice where postures are held for longer periods of time allowing yogis to deeply connect with the body. In our busy lives, it is difficult to find time for ourselves, this practice gives you permission to let go and heal the body through challenging stillness and deep stretch- tissue release. Please contact me with any questions or if you wish to book a private or group yoga session.